Visit the referral page and submit an online referral form, using your friend’s details (get permission first). They’ll be emailed a single use code – this must be entered during their transaction, which must be within 4 weeks of the code being issued. Once successful, you’ll receive your £50 Amazon voucher via email within four weeks. Ensure your friend has permission to use your contact details on the referral form. Once you receive your email, be sure to navigate to the site via the link provided and to complete your transaction within 4 weeks. Only certain packages are eligible for the 10% discount, so read the terms & conditions carefully. Maximum Referrals: 10 per month. If you have an existing contact with Vodafone you can refer up to 10 friends a month and you’ll get a £50 Amazon voucher for each successful sign-up! Your new Vodafone pals will receive 10% off their monthly line rental for the duration of their contract. 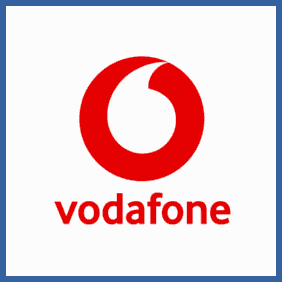 * Valid on new Pay monthly phone plans and SIM only plans purchased on vodafone.co.uk via the unique link. Excludes upgrades, business plans, VOXI, Vodafone Basics plans and affiliate offers (comparison sites for example).